Behold: A cracker whose only purpose is not to be covered in cheese or hummus. I didn’t think it was possible to have a cracker I preferred to snack on alone—turns out I was wrong. Dead wrong. These are just so yummy! So many fun flavors partying on the top. You can switch up the seeds however you like (not really). 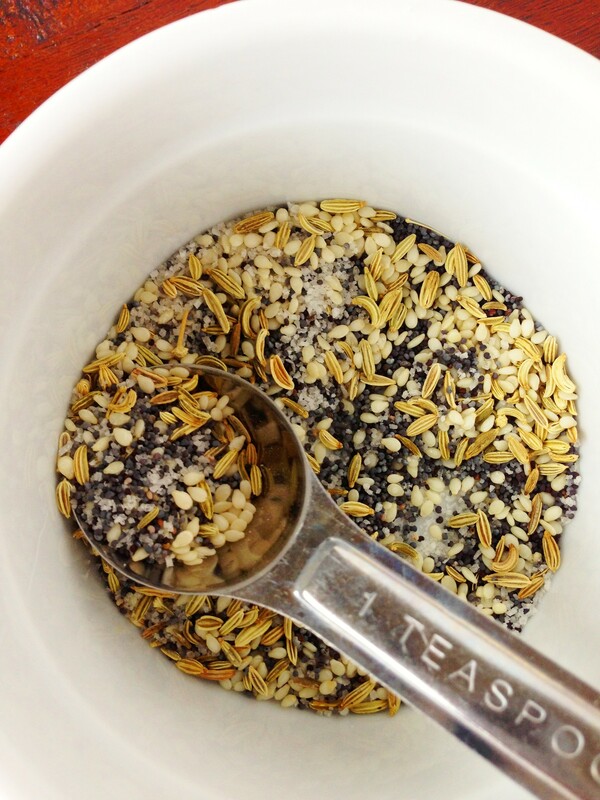 Fennel seeds have a mild anise flavor. I know a lot of people are not into anise/licorice tasting items. I think they really make these crackers. If you abandon the fennel seeds you’re not just letting me down you’re letting yourself down. 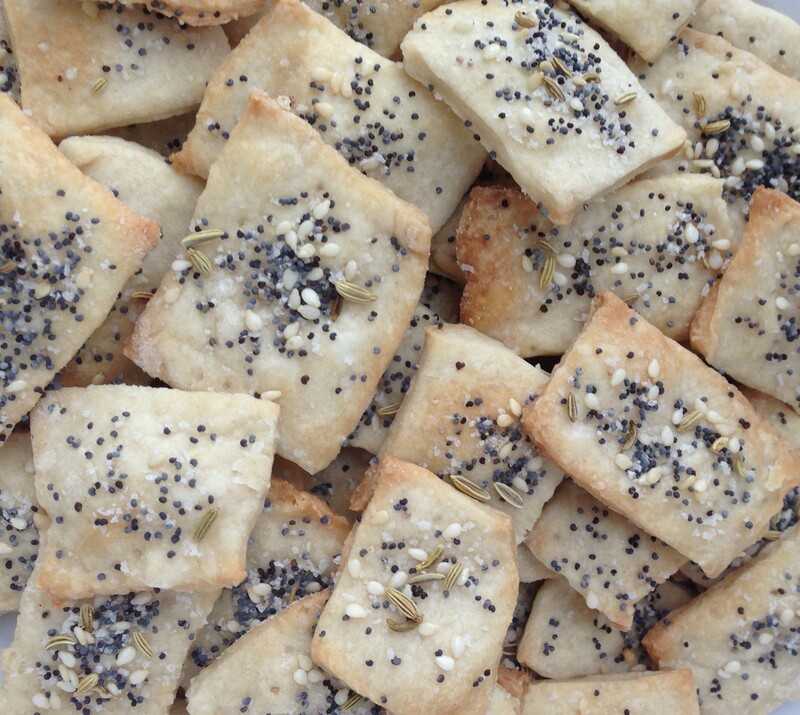 In fact, I had a hard time consuming plain crackers after devouring a bowl of these seeded one. 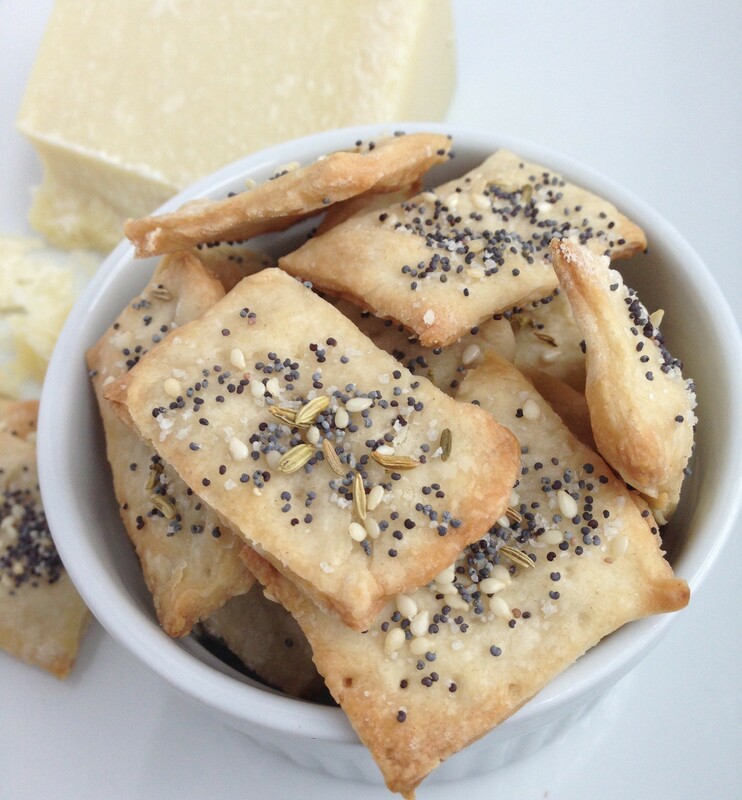 I started to question why anyone would want a fennel seedless cracker…then I remembered cheese… and hummus. Whisk together the flour, sugar and salt. Add the oil and water. Stir until dough forms adding a little additional flour/water depending on how wet/dry the dough feels. Sprinkle work surface with flour and roll the dough as thin as you want. 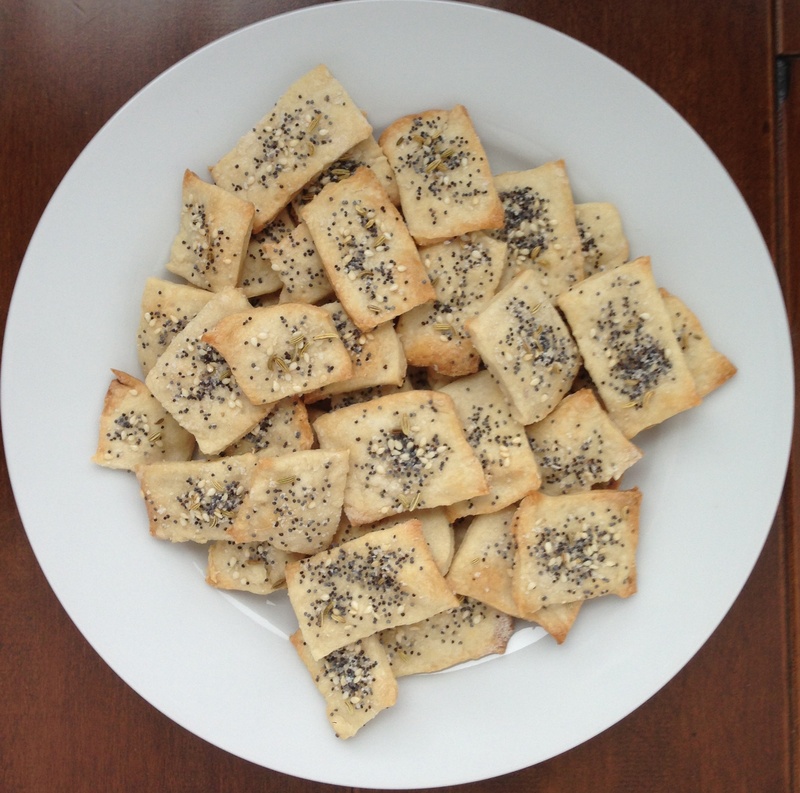 I decided to cut the dough into cracker shapes before topping in case things got weird and they did (see below). 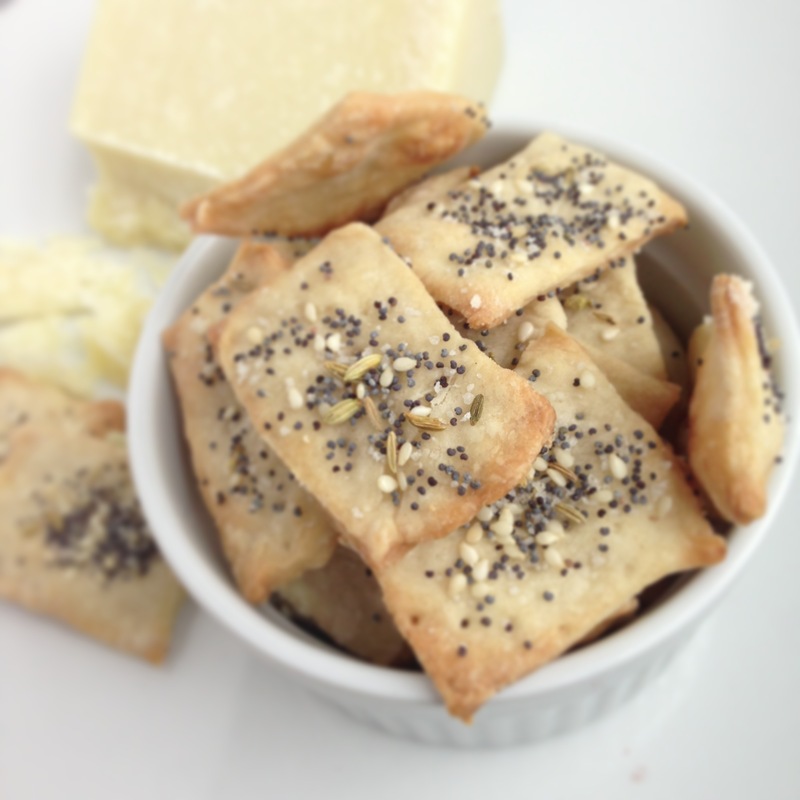 Cut your dough into desired cracker shapes. Place these shapes on a parchment paper lined baking sheet. I tried using a bench scraper/spatula to do this which just made a mushy mess. Then I used my finger and essentially peeled them from the work surface and placed on the parchment. A few did not “peel” very well. I just rerolled out that dough and cut into new shapes. 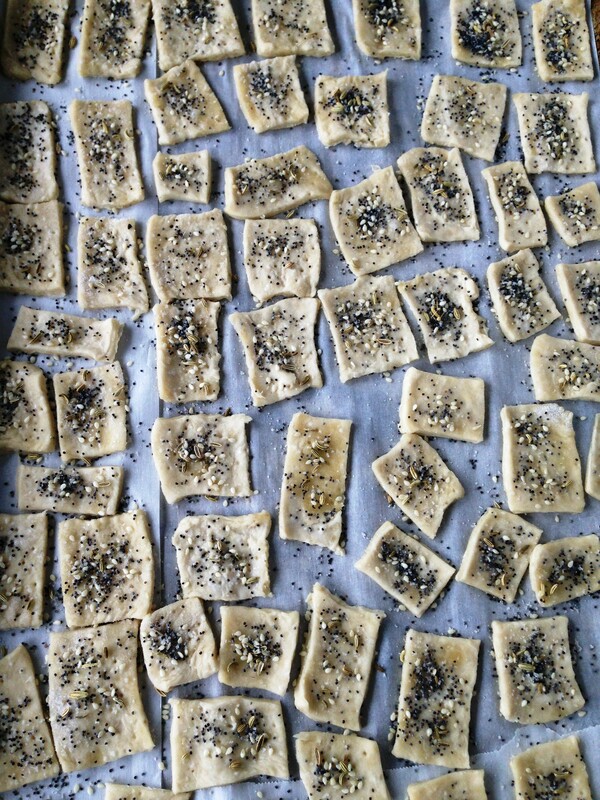 Once you have all your crackers on the baking sheet (they can be close together) brush with water and sprinkle with topping. Prick each cracker a few times with the tines of a fork to prevent puffing. Bake for 12-15 minutes. Apparently these keep for 3-5 days in an air tight container (you could probably re-crisp up in oven if necessary). I gifted a few baggies of these (makes a great little gift!) and then promptly ate the remainder within one day.